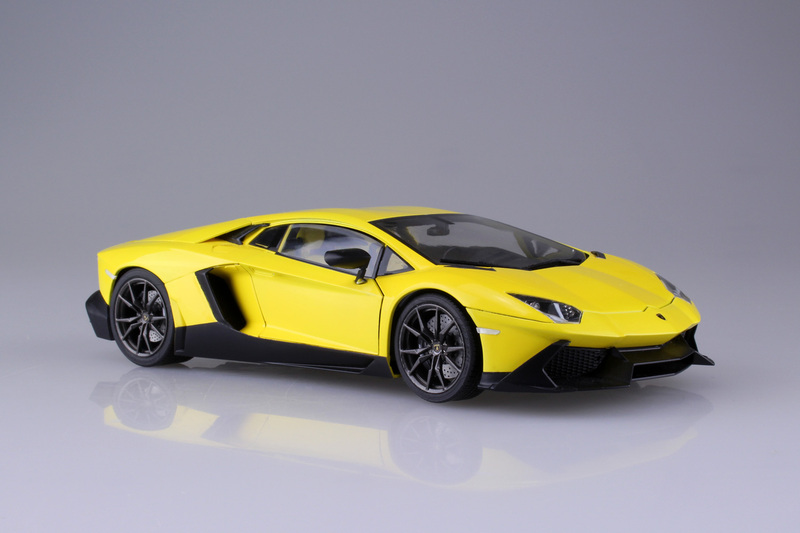 The Lamborghini Aventador LP 720-4 50th Anniversario is a limited and numbered series of 200 units worldwide - 100 Coupe /100 Roadster. 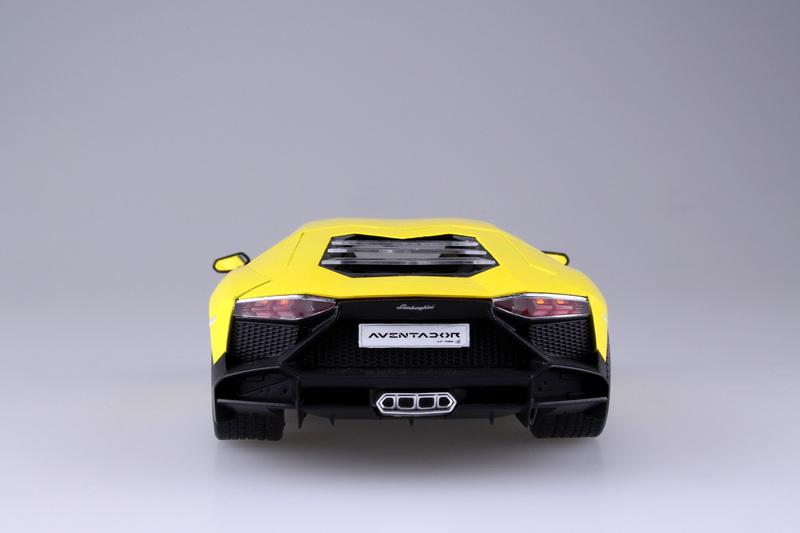 It features an enlarged and extended front air intakes and the aerodynamic splitter, small flaps set into the sides, and an enlarged diffuser and expansive meshwork in the new rear end. 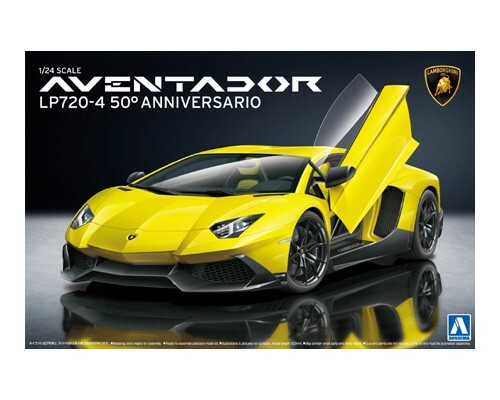 This model kit includes a lot of newly tooled parts for 50th Anniversario, both in exterior and interior. 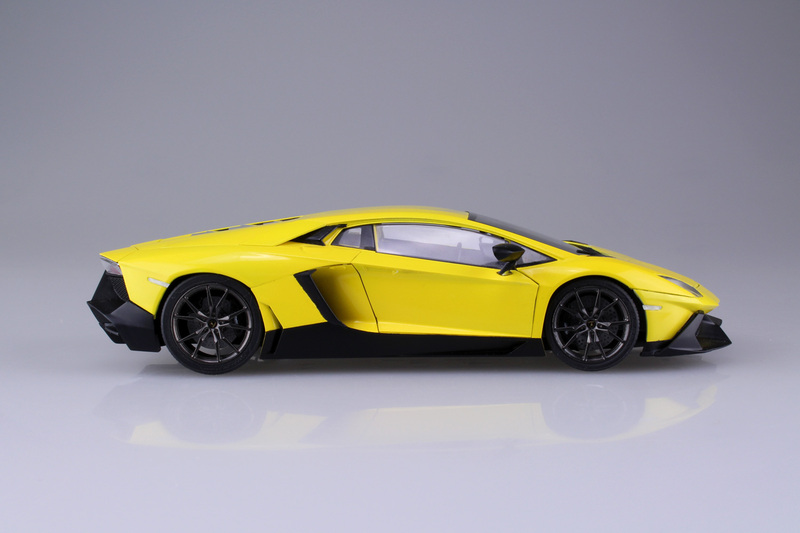 The body shell is produced totally in new design. 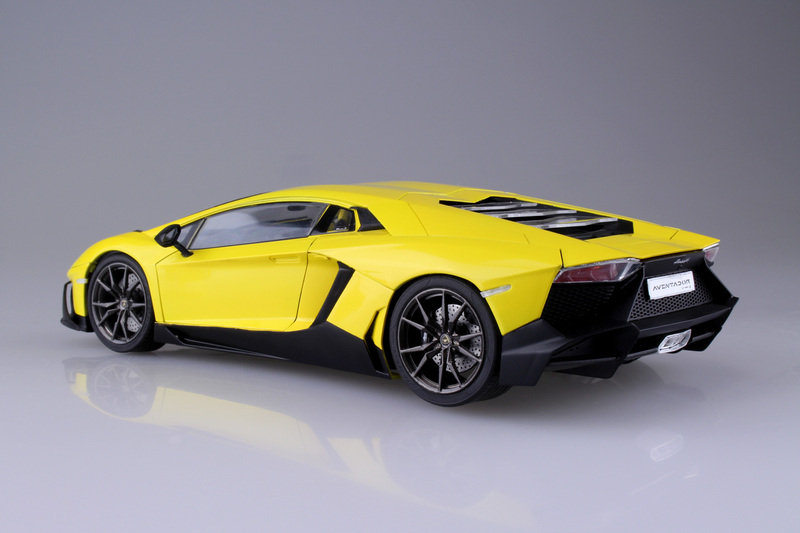 It has the same working door technology which developed in the Murcielago SV kit. 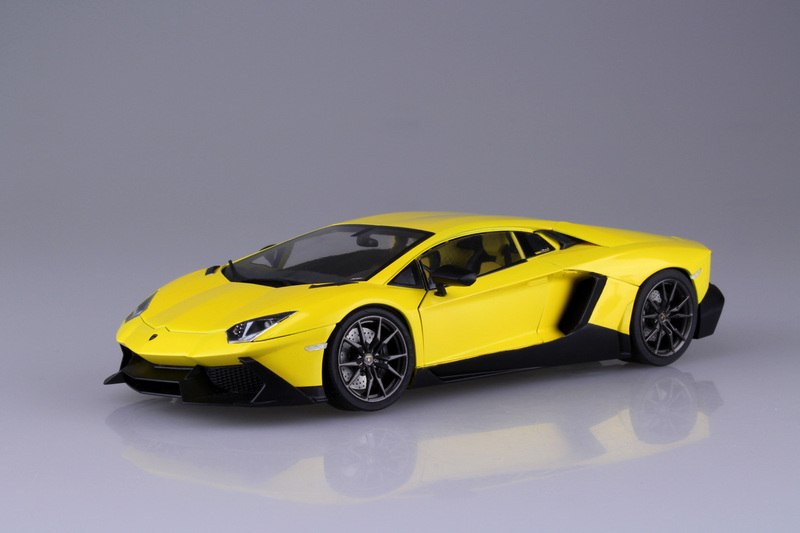 Enjoy our great recreation in 1/24 scale of the Lamborghini Aventador LP 720-4 50th Anniversario in the first class authenticity.